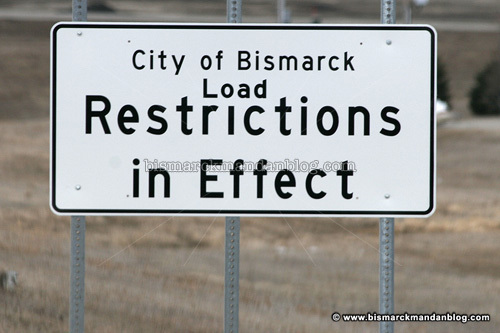 The City of Bismarck has put out a notice that load restrictions on the city’s roads started on March 15th. 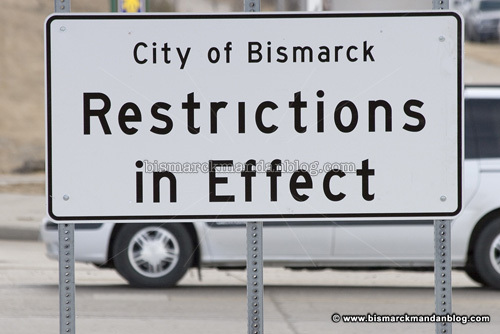 It gives me the perfect opportunity for a little good-natured ribbing over the “Restrictions in Effect” signs traditionally seen around Bismarck this time of year. Restrictions of what nature, you ask? 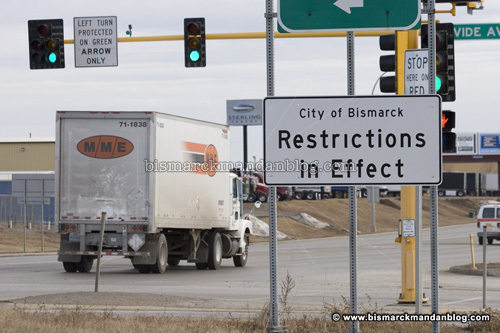 If your only source of information was these signs, I suppose it’s anyone’s guess. This is how the corrected signs look. I am still occasionally surprised to find an unmodified one posted. As I drove down Centennial yesterday, I noticed that someone’s going to have to dig through a drawer for another “Load” sticker!